The Group B preview is here. Group C here. Group D here. 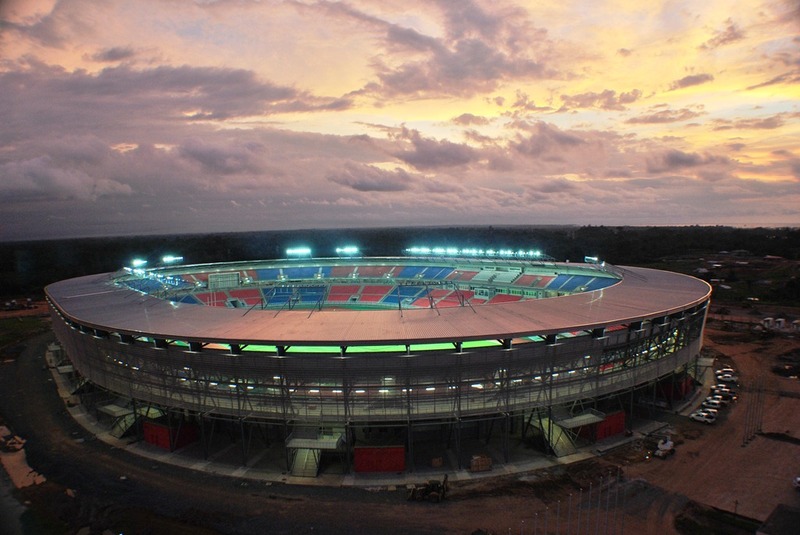 Equatorial Guinea, the co-hosts with Gabon, are the lowest ranked team in the competition, most likely the lowest-ranked hosts of all-time and will be competing at the Cup of Nations for the first time in their history. The former Spanish colony’s preparations have been far from ideal. The vastly-experienced Henri Michels was in charge but he left in protest at interference from “a third party” in late December. To compound misery they have replaced him with the relatively unknown Gilson Paulo. On paper, they look the least exciting side at the Cup of Nations’ teams and their friendly results in the latest two years have been far from encouraging. In the last year there had been encouraging results in friendlies – a 1-1 draw against Cameroon, but other encouraging results were against fellow minnows and the man responsible for these results is no longer in charge. Right, then. Let’s look at something positive: they’ll be playing at home. And as various major tournaments have shown in history, host countries can perform well above their abilities urged on by the roar of their home crowd. Spanish-born Rodolfo Bodipo (Deportivo La Coruna) is their talisman, the large majority of the squad play locally or in the lower leagues of Spain. Prediction: Possessing a weaker squad than most, qualification past the group stage would be a surprise but a win in the opener against Libya could provide a springboard. It will most likely be a matter of playing for national pride and hoping the inspiration of playing in front of a home crowd will squeeze every ounce out of their abilities. “This is for all Libyans, for our revolution,” said goalkeeper Samir Aboud after Libya’s historic 0-0 draw in Zambia. The state of Libya has been well-documented and this Libya team has felt the full repercussions of the rebellion against Muammar Gaddafi’s regime. Libya played only of one of their six-match qualifiers at home, the rest of their home qualifiers were played at ‘neutral’ venues. Libya’s Brazilian coach, Marcos Paqueta, wasn’t paid for 6 months. Their achievement is made even more remarkable by the fact their domestic league had been suspended since March, denying most of the Libyan squad regular competitive action. Defensive solidity is Libya’s most impressive asset as it allowed them to finish the qualifying campaign unbeaten, despite all the troubles at home, conceding a mere goal. Lack of goals may prove to be a stumbling block as they only managed to score 6 goals in their 6 games. Prediction: The runners-up place in Group A is up for grabs and should be between them and Zambia. It’s an incredible achievement that they’ve managed to reach the tournament despite the fragile state of the country. Just under less than decade ago, Senegal announced their arrival to the world stage in the opening game of World Cup 2002 with one of the biggest shocks in World Cup history – a 1-0 victory against France, who were at the time the World and European Champions. They were essentially the hope of Africa as they threatened to become the first African side to progress further than the quarter-finals of the World Cup, only an extra-time goal to Turkey denying them. It’s been a long time since then, a long, dwindling descending from the dizzy heights of World Cup stardom. Omar Daf (Brest) and Souleymane Camara (Montpellier) are the only survivors from the 2002 squad. Senegal probably have the most gruesome strikeforce in Africa, a look at their strikeforce is bound to make saliva accumulate in your mouth; DEMBA BA (capitalised for effect, of Newcastle, 2nd top scorer in the English Premiership at the time of writing), Mamadou Niang (Al Sadd, top scorer in Ligue 1 2009/2010), Moussa Sow (Lille, top scorer in Ligue 1 2010/2011), Papiss Cisse (Freiburg, runner up top scorer in Bundesliga 2010/2011 ), Dame N’Doye (Kobenhavn, top scorer in Danish Super Liga 2010/2011) – an array of strikers who have handed out several beatings across the top leagues in Europe in the last few seasons. The richness in their attacking department on paper is justified with the numbers, having scored 16 goals in qualification – only Ivory Coast scored more – and, equally impressive, they only conceded 2 goals in qualification. And looking at their defence you can see why with the ever-reliable, rock-solid Souleymane Diawara (Marseille), Pape Diakhite (Granada), Abdul Kader Mangane (Rennes) and a whole host of other defenders who mostly ply their trade in Ligue 1. Added with Mohamed Diame (Wigan), a powerful box-to-box midfielder, and Guirane N’Daw (Birmingham), Senegal are strong in all areas though the lack of a creative midfielder is problem. Prediction: With the likes of Algeria, Cameroon, Egypt and Nigeria failing to qualify for the tournament, Senegal, with their powerful strikeforce, should qualify as group winners and must see this as a huge opportunity to at least match their runners-up performance in 2002. Finalists. The Chipolopolo (Copper Bullets) have been one of the most entertaining teams to watch in the 2008 and 2010 editions of the African Cup of Nations with their cavalier, do-or-die-attack-at-all costs philosophy. 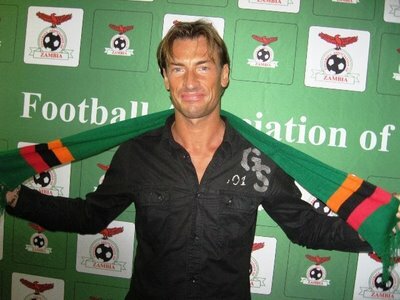 Herve Renard, who was in charge for the 2010 editions, is back after a stint as manager of Angola. In the type of event that has become typically associated with African football, his predecessor, Dario Bonetti, was sacked just 48 hours after leading ensuring Zambia’s qualification – he has filed a lawsuit on the grounds of unfair dismissal. Herve Renard: He. Is. Back. Making their 15th Cup of Nations appearance, much of the goal-scoring responsibility will be on the feet of Collins Mbesuma (Golden Arrows, once upon a time of Portsmouth, one of Harry Redknapp’s failed obscure signings) and Christopher Katongo (Henan Construction), the former’s goalscoring record at international record is very good. There is a wealth of experience throughout the offensive and defensive areas that is complemented with a sprinkling of youth that stems from an impressive performance at the FIFA U-20 World Cup in 2007 – Emmanuel Mayuka (Young Boys) is one to keep an eye on. Although they don’t have the talent to steamroll teams, Zambia do possess a group of players with brute athleticism – power coupled with pace – attributes which will stand them in good stead against the better teams. Additionally, they possess a few individuals who play for TP Mazembe – the 2009 and 2010 African Champions League champions so, despite many of their players plying their trade on domestic shores, they possess individuals who have a winning mentality. Prediction: Potential ‘darkhorse’ material. Much will depend on how quickly they can re-adapt to Herve Renard’s idiosyncrasies. If only, if only! The combinations/options Senegal have are frightening.